[Windows] spawn UNKNOWN, stuck on "Checking System"
Sep 26, 2017, 12:15 AM GMT+2 - info: [main/index] Existing Pressmatic data does not exist. Install hangs at "Checking System"
Jan 17, 2018, 3:26 PM GMT+1 - info: [main/index] Existing Pressmatic data does not exist. Jan 17, 2018, 3:33 PM GMT+1 - info: [main/index] All Local sites are stopped. Shutting down VM. Jan 17, 2018, 4:06 PM GMT+1 - info: [main/index] Existing Pressmatic data does not exist. Jan 17, 2018, 4:22 PM GMT+1 - info: [main/index] All Local sites are stopped. Shutting down VM. Jan 18, 2018, 3:47 PM GMT+1 - info: [main/index] Existing Pressmatic data does not exist. Jan 2, 2018, 11:26 AM MST - info: [main/index] Existing Pressmatic data does not exist. Once you do that, try re-opening Local. 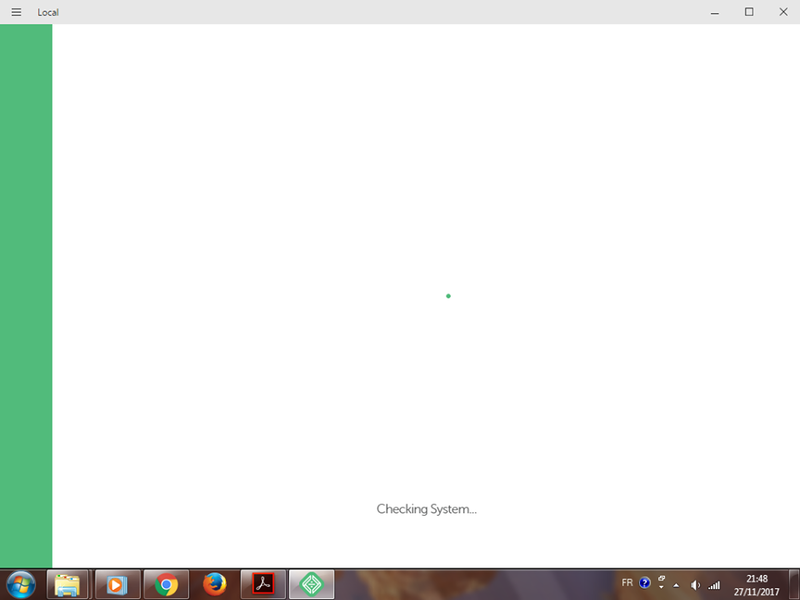 Do you see VBoxManage.exe in C:\Program Files\Oracle\VirtualBox\? Yes - it is dated 12-18-2017 5:17 PM and is 864 kb. Can you please try running Local as an administrator? Yes I tried stll not working for me. 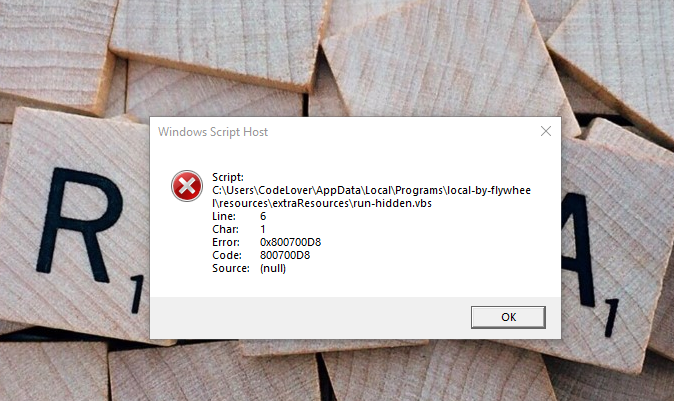 Hi, my name is Carol and recently I’ve install Local on Windows and well… I can’t use him! 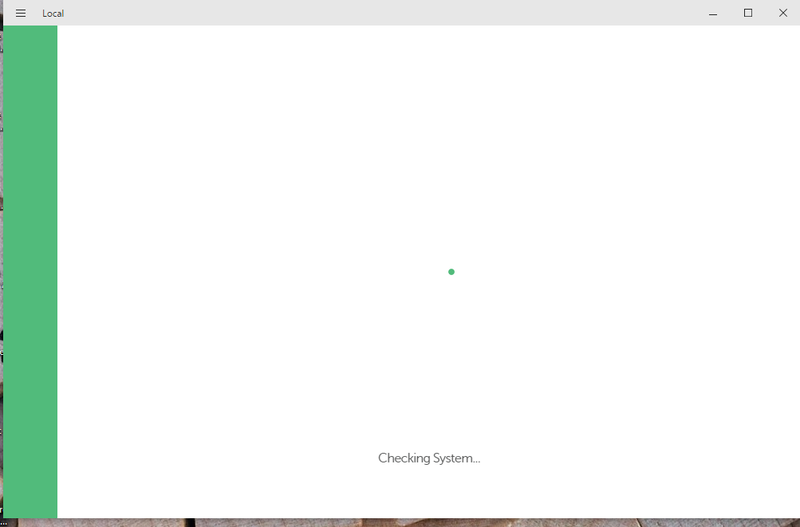 When I open Local, he doesn’t start, it’s get stuck on the screen Checking the System and stay’s there forever. I already try every tips that I’ve found in the community, (install the VB doesn’t help at all) but I don’t get any success and is very frustrating, because I love the idea of the app. Is simple, pratical and very beautiful. Mar 13, 2018, 12:16 AM GMT-3 - info: [main/index] Existing Pressmatic data does not exist. Mar 13, 2018, 12:25 AM GMT-3 - info: [main/index] Existing Pressmatic data does not exist. Mar 13, 2018, 1:09 AM GMT-3 - info: [main/index] Existing Pressmatic data does not exist. Mar 13, 2018, 4:37 PM GMT-3 - info: [main/index] Existing Pressmatic data does not exist. Mar 13, 2018, 4:45 PM GMT-3 - info: [main/index] Existing Pressmatic data does not exist. Mar 13, 2018, 7:00 PM GMT-3 - info: [main/index] Existing Pressmatic data does not exist. Mar 13, 2018, 7:05 PM GMT-3 - info: [main/index] Existing Pressmatic data does not exist. Mar 13, 2018, 7:14 PM GMT-3 - info: [main/index] Existing Pressmatic data does not exist. Mar 13, 2018, 7:17 PM GMT-3 - info: [main/index] Existing Pressmatic data does not exist. Mar 13, 2018, 7:24 PM GMT-3 - info: [main/index] Existing Pressmatic data does not exist. Mar 13, 2018, 11:56 PM GMT-3 - info: [main/index] Existing Pressmatic data does not exist. Mar 14, 2018, 12:14 AM GMT-3 - info: [main/index] Existing Pressmatic data does not exist. Mar 19, 2018, 9:51 PM GMT-3 - info: [main/index] Existing Pressmatic data does not exist. Mar 20, 2018, 12:59 AM GMT-3 - info: [main/index] Existing Pressmatic data does not exist. I have the same problem… Carol did u manage to solve it? Nov 26, 2017, 12:19 AM GMT+1 - info: [main/index] Existing Pressmatic data does not exist. Nov 26, 2017, 12:20 AM GMT+1 - info: [main/index] All Local sites are stopped. Shutting down VM. Nov 26, 2017, 12:21 AM GMT+1 - info: [main/index] Existing Pressmatic data does not exist. Nov 26, 2017, 12:21 AM GMT+1 - info: [main/index] All Local sites are stopped. Shutting down VM. Nov 26, 2017, 12:22 AM GMT+1 - info: [main/index] Existing Pressmatic data does not exist. Nov 26, 2017, 12:23 AM GMT+1 - info: [main/index] All Local sites are stopped. Shutting down VM. Nov 26, 2017, 12:24 AM GMT+1 - info: [main/index] Existing Pressmatic data does not exist. Nov 26, 2017, 12:24 AM GMT+1 - info: [main/index] All Local sites are stopped. Shutting down VM. Nov 27, 2017, 9:48 PM GMT+1 - info: [main/index] Existing Pressmatic data does not exist. Sep 25, 2017, 5:19 PM GMT+2 - info: [main/index] Existing Pressmatic data does not exist. Sep 25, 2017, 5:27 PM GMT+2 - info: [main/index] Existing Pressmatic data does not exist. Sep 25, 2017, 5:42 PM GMT+2 - info: [main/index] Existing Pressmatic data does not exist. Sep 25, 2017, 5:48 PM GMT+2 - info: [main/index] Existing Pressmatic data does not exist. Sep 25, 2017, 5:50 PM GMT+2 - info: [main/index] All Local sites are stopped. Shutting down VM. Sep 25, 2017, 5:56 PM GMT+2 - info: [main/index] Existing Pressmatic data does not exist. Sep 25, 2017, 5:59 PM GMT+2 - info: [main/index] All Local sites are stopped. Shutting down VM. Sep 25, 2017, 6:07 PM GMT+2 - info: [main/index] Existing Pressmatic data does not exist. Is this the entire log? If not, was Local working for you before? Hi Clay! This is following log. No it hasnt work. I tried to uninstall several times but its not working. Sep 25, 2017, 6:34 PM GMT+2 - info: [main/index] Existing Pressmatic data does not exist.